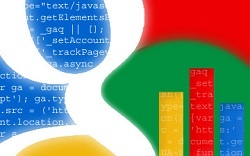 Google recently revealed it now has real-time analytics. This is a huge change for those interested in how their online marketing is actually performing. In the past, you had to wait until the following day to see how your stats changed: how many people came to your site, pages that were visited, bounces, click-throughs, what keywords brought them to your site, how the site visitor made it to your site if not via a search engine, etc. Now you can see this as it happens. Free. For small business this is a huge development. With a new product launch, you can see specifically how your announcement or press release affects your traffic. You can diagnose issues with landing pages or links quickly as you can assess if something is having the desired immediate affect and make adjustments accordingly. If you send a newsletter to your subscribers, you can immediately see the impact of that send to the activity on your site. Before you make an adjustment to a page or a section of your site you monitor to make sure there is not a lot of activity to that specific area. You can track offers or special promotions and even switch out the creative to do some immediate A/B testing. If you’re getting a high bounce rate you can adjust accordingly to make sure it’s clear what you’re trying to get people to do. You could do all these things with the previous version of Google Analytics, the major difference is that you can start to move more deliberately and adjust quickly as opposed to waiting for a day-old report. Anyone using the new real-time results from Google?